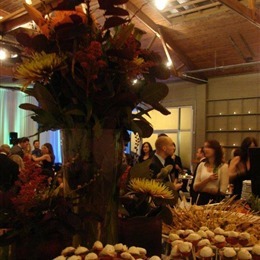 Select photos you like; we'll recommend wedding caterers in Seattle Try now! Slogan: We are dedicated to providing delicious cuisine accompanied by personal service & inviting decor at every event! Wedding planners and discriminating hosts throughout greater Seattle know that peace of mind for any event begins with a call to Tuxedos and Tennis Shoes. From epic to intimate, fancy to homespun, we make every occasion special with our signature pairing of guest-centric service and extraordinarily delicious food. ACT 3 CATERING offers full service catering and event planning services. From downtown to the eastside, Everett to Olympia and all points in between, we are the premier catering company in the Great Northwest. Lisa Dupar caters to a wide a variety of weddings, be it a sophisticated plated dinner for several hundred people or a small intimate wedding reception for eight. 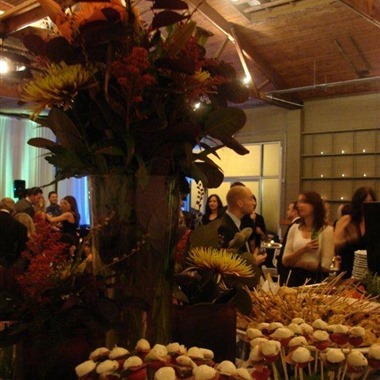 Lisa Dupar Catering will work within your budget no matter how large your event is. No matter what kind of wedding you have, there really should be food. And your options are fairly unlimited, from hot dogs and hamburgers at the beach, caviar and champagne in a magnificent ballroom to a variety of food trucks. This can mean doing hours of research to find the right wedding caterer to fit your wedding theme. 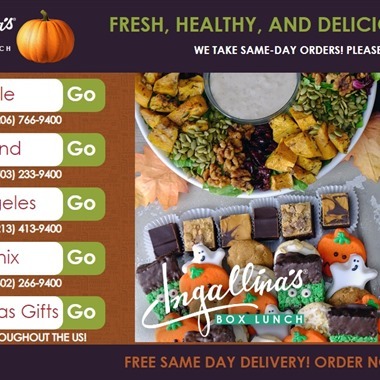 Or, you can check out our selection of local caterers, which can save you time while introducing you to the best caterers in your city. You should book your caterer after you have a decent guest count and have booked your venue. 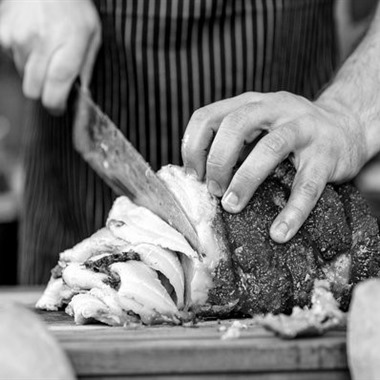 Your caterer should be able to handle both a sit-down dinner as well as a buffet. If you like a caterer that seems out of your price range, ask about doing a breakfast or brunch instead of a dinner. 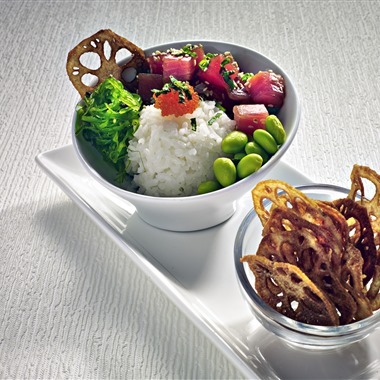 A large selection of tasty appetizers can save you money on the main course. Don’t be afraid to be different. Everyone has had the wedding chicken or fish, and there are lots of other delightful options. Tacos, anyone? 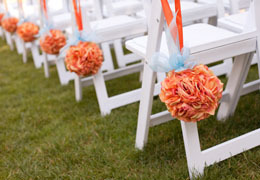 Review our selection of caterers at Weddingventures.com until you have narrowed down your search. Then check out their information and their specialties. A spread of Chinese food can be different and very appreciated. 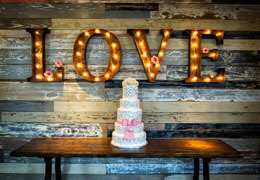 Find out if they are full-service and will help with other aspects of your wedding reception. A caterer can do more than just prepare food. He or she can provide tables, chairs, linens, china, and glasses. Many will set up the tables, provide waitstaff and bartenders, as well as alcohol and wedding cakes. 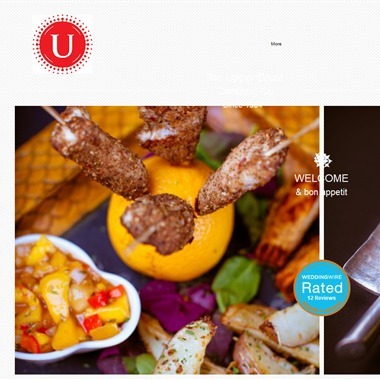 Our handy list of wedding caterers makes selecting the caterer that is right for you easy. Be sure to ask specific questions, such as what happens to the left-over food. Some caterers provide boxed take-out, which will be especially appreciated by out-of-town guests. Most importantly, make sure they offer a food tasting. You don’t want any unpleasant surprises during your wedding reception.